The operatives of Department of States Security Service, DSS and Nigerian Police force are on a manhunt for a self-acclaimed United Kingdom private investigator Chief Victor Uwajeh who attempted to swindle a serving senator Senator Andy UBA representing Anambra south in the National Assembly. 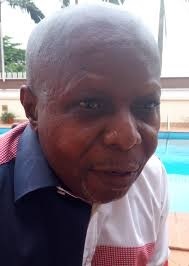 Embattled Victor Uwajeh who is currently into hiding was investigated by the police over forgery, theft and documents falsification and was eventually charged court. Currently, the security operatives are looking for him on another forgery cases following series of petitions written against him to the DSS and the police. In accordance with its earlier order of February 5, 2018, the court said that the "prosecution shall revisit the order and serve Victor Uwajeh with this fresh criminal summons." Justice John Tsoho who gave the order that the defendant on the charge before the court can not be "so elusive that no body can reach him to serve the summon." The court was not convinced that Uwajeh is evading serve, even as it observed that the police has power to arrest a criminal with warrant or an order of the court. In the instant case, the defendant has not been arraigned before the court. " Prosecution counsel had pleaded with the court to issue a warrant of arrest on Uwajeh who was not in court for the arraignment yesterday . The prosecution told the court that the summon served on the defendant was signed by his personal lawyer on his instruction. The prosecution said that Uwajeh was aware of his impending arraignment that was fixed for today (Friday) March 9, but he decided to send his brother to observe the sitting after evading service . The counsel said that in view of the fact the the defendant is evading personal service the court should issue bench warrant of arrest for any law enforcement agency to apprehend him and bring him to the court. The defendant was take his plea on charges of forgery, impersonation and fraud preferred against him by the Federal Government. The federal government had filed the charges against Uwajeh in January this year after the Police discovered that the defendant was allegedly trying to obtain money through fraudulent means from a serving senator Senator Andy Uba. representing Anambra south senatorial District. On February 5 ,2018 when he was to be arraigned the defendant was conspicuously absent and he could not take the plea. The matter was subsequently shifted to the following day February 5, but the defendant was not also in court.